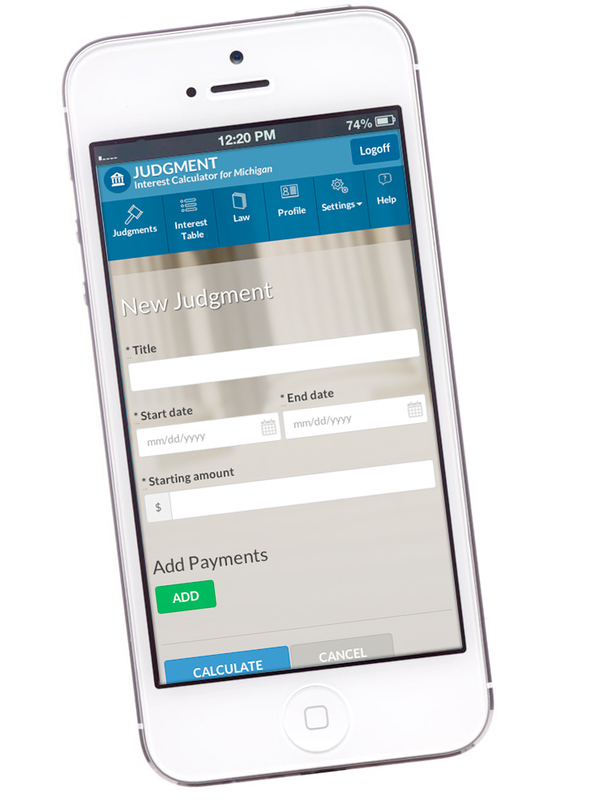 Organize all your judgments in one place and have access to them from almost anywhere, add judgments with minimum information, include payments made, create PDF files with summary and details, email directly to anyone and more from your desktop or mobile device. Being organized saves time and money. 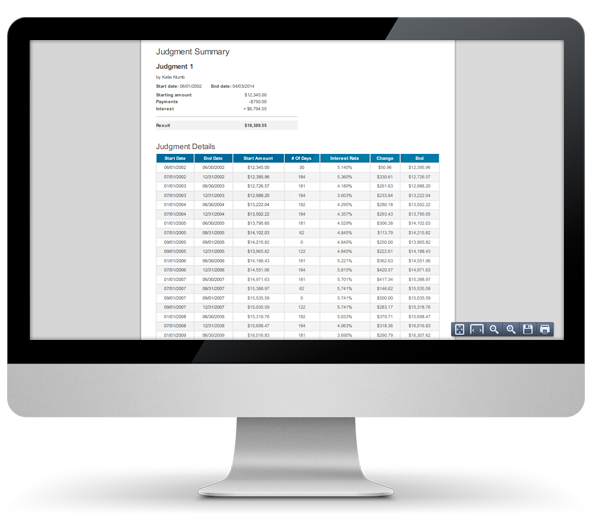 JIC allows you to organize all your Judgments in Active, Favorite and Archive folders allowing you quick access to all your new and old judgments. 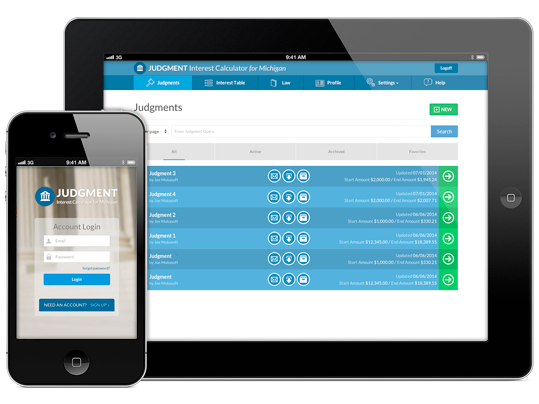 Never have your data out of reach by managing your judgments with convenient access from any device (desktop, laptop, tablet or smartphone). By simply and quickly entering all the judgment information on one screen J.I.C. can accurately determine the ending amount owed. 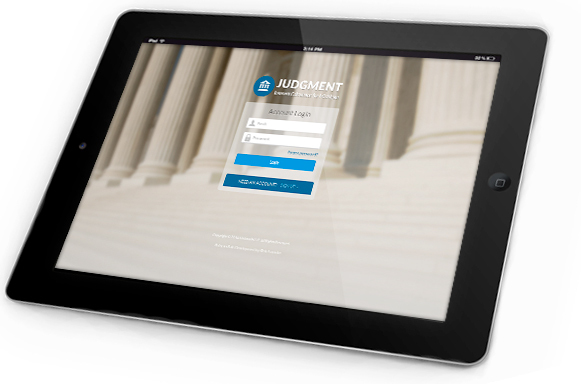 You can even enter payments that have been made to accurately reflect the history of judgment. Whether you need to email the result to a client, print the report to submit to court or just save a backup copy on the office computer, you can do it all. 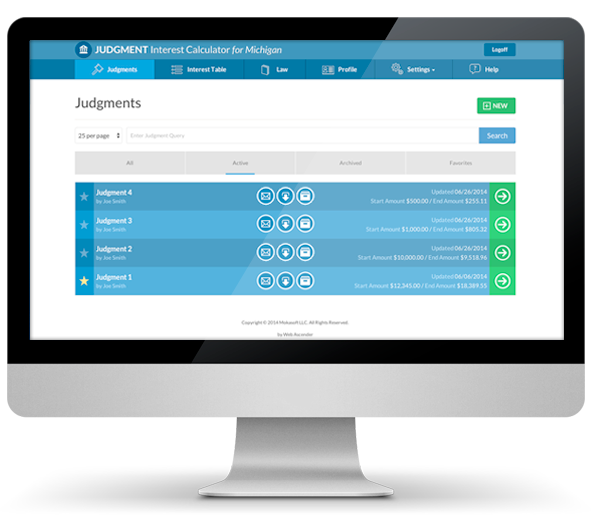 With simple, easy-to-understand one-click buttons, you can get the judgment results wherever and to whoever you want.